This past weekend Gavin got the toilet in, so now the bathroom is complete! Once we move in, we’ll spend some time putting in shelving and towel racks, etc, but at least now the fixtures are ready to go. The installation kit for the toilet was missing when we opened the box, so we were delayed a week until that came in. 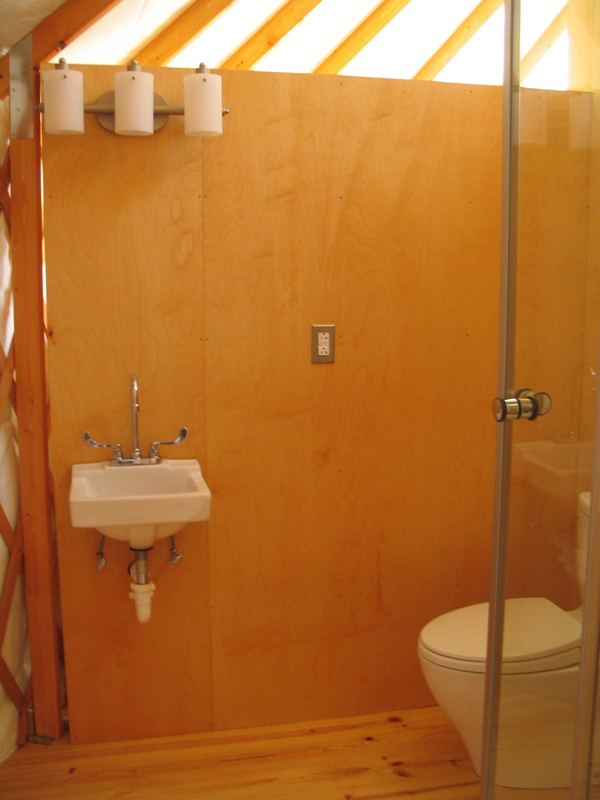 The toilet is a dual-flush Aquia by Toto. 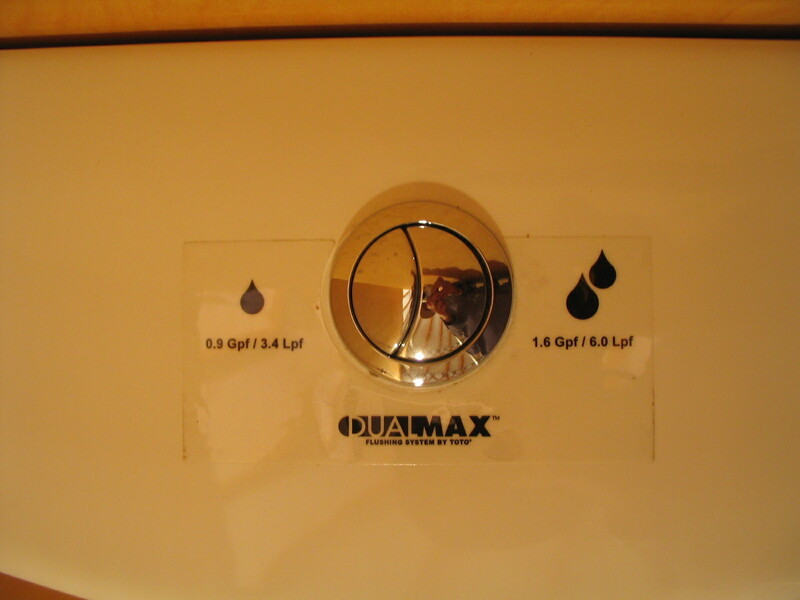 You can flush with .9 gallons or 1.6 gallons, which is pretty conservative compared to most toilets. 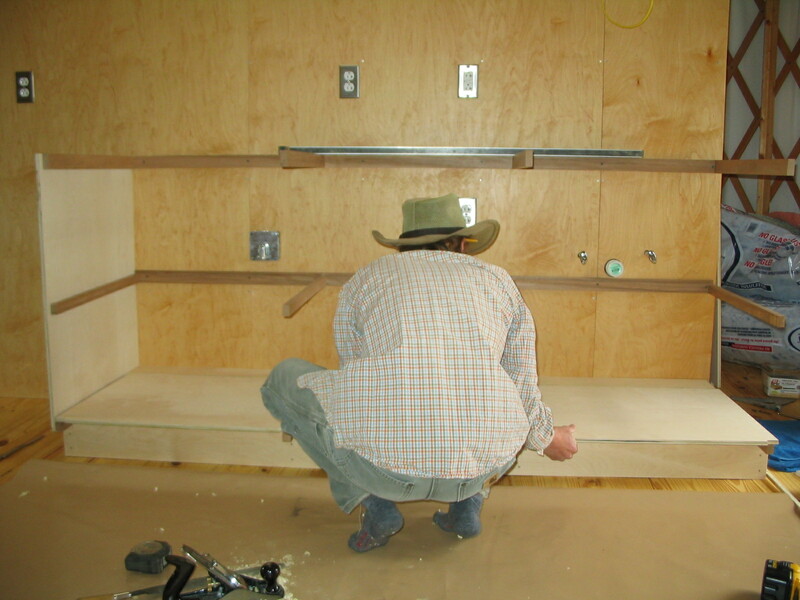 On the other side of the wall, Gavin has begun the base kitchen cabinet.